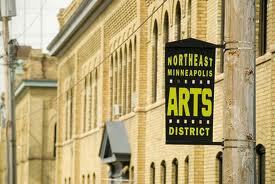 This weekend you can explore the art studios, bars, and restaurants of NE Minneapolis. This week we have a couple of sidemen stepping out as leaders of their own groups, and a number of outstanding visiting artists in jazz, blues, and roots, not to mention an art crawl that’s crawling with music, and a play with music. Babatunde Lea w/Zacc Harris @ Cafe Maude, Minneapolis. 7pm (No cover) Lea is an Afr0-Cuban and World percussionist of many instruments who has played with Harris in the past to great success. As usual at this neighborhood restaurant, reservations are recommended for dinner. Graydon Peterson Quartet @ The Artists’ Quarter, Saint Paul. 9pm ($5) Peterson provides a steady bass for a variety of groups and singers around town, though lately he’s been coming up with his own compositions, many of which have odd time signatures and beautiful melodies. Consequently, to play his songs he’s put together a quartet which includes Adam Meckler on trumpet, Vinnie Rose on guitar, and Adam Suarez on drums. Snowblind @ The Artists’ Quarter, Saint Paul. 9pm ($5) Snowblind is a musical collective that works so well because they’re committed to rehearsing and common musical goals. Members include Scott Agster, trombone; Shihad Sen, sax; Adam Rosmiller, trumpet, Graydon Peterson, bass; and Reid Kennedy, drums. Expect standards from Ellington, Monk, and Blakey, as well as Afro-Cuban and groove-oriented material. Fratzke, Hanson, Roessler, Hennig, & Leggett @ The Black Dog Coffee & Wine Bar, Saint Paul. 8pm (tip jar) Though it’s not a law firm, expect this group to steadfastly defend the principles of improvisation and the use of imagination in music. Erik Fratzke plays bass with Happy Apple and guitar with Zebulon Pike. Hanson on sax and Roessler on bass are members of the Fantastic Merlins and curate the biweekly jazz series at the Black Dog. Peter Hennig is a Black Dog regular who also plays drums with the Atlantis Quartet and other bands around town, not to mention playing banjo with his own group. Peter Leggett drums with Heiruspecs and other bands about town. Reynold Phillipsek “Last Summer” CD Release @ The Aster Cafe, Minneapolis. 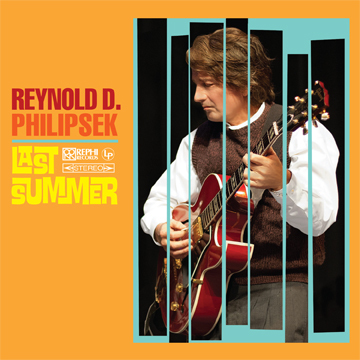 9pm – 11pm ($10 – includes a copy of the CD) Phillipsek continues his exploration of jazz and gypsy jazz styles. He can be subtle, as when accompanying vocalists, or he can be dazzling, though he doesn’t overdo it. Phillipsek will be accompanied by Matt Senjem on bass, and the outstanding violinist, Gary Schulte. Plus, you get a great view of downtown Minneapolis. Zack Lozier Quintet @ The Artists’ Quarter, Saint Paul. 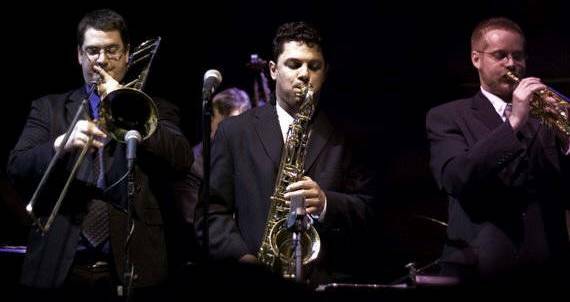 9pm ($10) Whether trumpeter Lozier is playing with the Jack Brass Band, the Southside Aces, Havana Hi-Fi, Doc Severinson, Deodatos or any other band, you can expect stellar playing that’s exciting and imaginative. He’s the leader tonight, exploring the music of Lee Morgan, among others, with Brandon Wozniak on sax; Bryan Nichols on piano; Billy Peterson on bass; and Kenny Horst on drums, all of whom are worthy of leading their own groups. 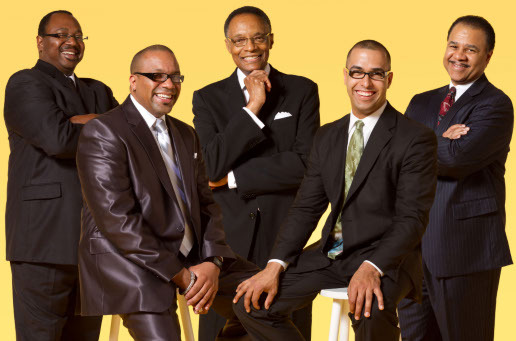 Ramsey Lewis Electric Band @ The Dakota, Minneapolis. 7pm ($65 – $40) The 77 year old NEA Jazz Master had his first hits with funky, hand clappin’ versions of the pop hits, “The In Crowd’ and “Hang on Sloopy” back in the mid-sixties. 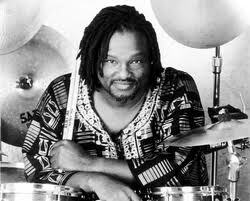 He’s received three Grammys and seven gold records since then, and had a monster hit with the album “Sun Goddess” in 1974. Lewis revisits some of the Sun Goddess tunes on his newest CD, and will be bringing a quintet to the Dakota to show us where he’s at these days. Paul Geremia on KFAI’s House Party (5pm) and @ The 331 Club, Minnneapolis. 331 Club – 7pm – 9pm. (tip jar). You probably know the drill by now. Tune in to 90.3 or 106.7 FM to hear the artist, then head over to the 331 Club for a 7pm performance. 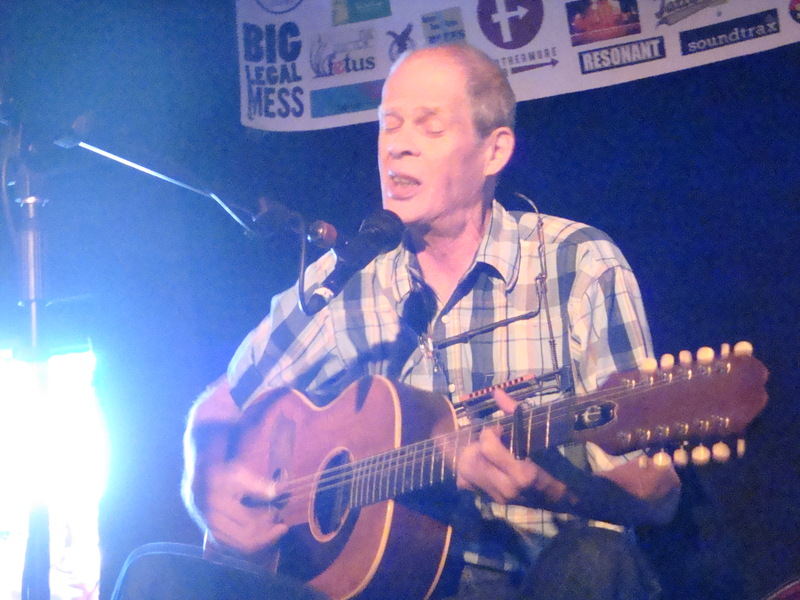 Geremia plays acoustic, mostly pre-war, blues, with the occasional well-crafted original. He’s been playing this stuff for so long, that he completely inhabits it. Geremia is and internationally acclaimed musician, with his most recent album out on Saint Paul’s Red House Records. If you like the blues at all, or if you simply like honest performances, you will want to check him out. Here’s a video. Scottie Miller Band @ School II Bistro, Chanhanssen. 8pm ($7) Scottie’s piano playing has jump-started many a party and night out. With his Professor Longhair licks and triplett pounding rock n’ roll, Scottie will have you moving and groovin’ as they say. Lil’ Ed & the Blues Imperials @ Famous Dave’s BBQ & Blues, Minneapolis. 9pm ($6) Lil’ Ed comes by his high-energy slide guitar playing almost naturally – his uncle and mentor was JB Hutto, one of the first-generation slide players out of Chicago. Ed and his band of 20 years deliver full tilt, raucous bues. 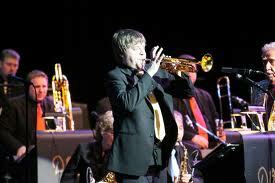 His playing is contagious, and his moves – from deep back bends to toe-walks, are hugely entertaining. Check out this video. Hurricane Harold’s All-Star Blues Revue @ The Blue Fox Bar & Grill, Arden Hills. 9pm (No cover) This a Minnesota Blues Society gig celebrating the Fox as a new society sponsor. Hurricane Harold got his nickname for his ferocious attack on harp. He’s joined by guitarists Dave “Cool Breeze” Brown and Mark “Good Time Willy” Williams, as well as the rhythm section of Alan Kirk, and Chris Johnson. Hotpants 45rpm Dance Parties @ Art-A-Whirl and The Nomad, Minneapolis. 5-8pm (Art-A-Whirl: Free), 9pm – 2am (Nomad: $5) The Hotpants crew will be spinning rare soul & funk during Art-A-Whirl at the Hill Valley Boutique, 33rd & Central Ave NE, then move to their normal monthly throw-down at the Nomad. Northeast Minneapolis Art-A-Whirl. Art-A-Whirl has nothing to do with Spin Art, and everything to do with actual artists who have studios throughout NE Minneapolis. The three day shopping/meandering spree also has many bands playing at the outdoor stages of The 331 Club, Psycho Suzi’s, Grumpy’s NE, Anchor Fish & Chips, the Sample room, and Stanley’s during the weekend. Expect a few food trucks and even a trolly for those who are using adult beverages to cool off. More information is available at: http://nemaa.org/art-a-whirl and at the websites for the individual music venues. 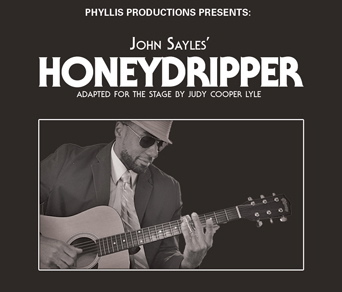 John Sayles’ Honeydripper @ Old Arizona Theatre, 2821 Nicollet Ave, Mpls. 7:30pm ($10/$15 suggested donation) Twin Cities playwright Judy Cooper Lyle has adapted the John Sayles film to the stage for this theater presentation. While I haven’t seen it, the story of a failing blues club in the 50s pinning it’s hope on a young impersonator of a big star is intriguing, to say the least. And the premise rings true. Back then, it wasn’t unusual for two or three versions of Guitar Slim, for instance, to be playing at the same time in different parts of the South. Curtis Blake & Greazy Gravy @ Minnesota Music Cafe, Saint Paul. 7pm. Harmonica Curtis Blake blows a mean harp in front of this down n’ dirty danceable blues band. Spider John Koerner @ Palmer’s Bar, Minneapolis. 8pm. Catch a legend in his natural habitat – the last vestige of the legendary West Bank of old. Koerner’s disarming way with traditional folk tunes, together with his originals and groan-inducing jokes, are the perfect accompaniment to the bar’s strong drinks. This entry was posted on Wednesday, May 16th, 2012 at 12:12 pm and is filed under Weekly Preview. You can follow any responses to this entry through the RSS 2.0 feed. You can leave a response, or trackback from your own site.